Lab Pro™ Lens Cleaning Towelettes | Polysciences, Inc. The “clear choice for plastic and glass lens cleaning.” Professionally formulated with a unique anti-static solution that leaves lenses clean and clear. Eliminates the problem of impaired vision from dirt, fog and oily residue that does not come off with regular wiping. Easy to use dispensing box allows for quick and easy access. Towelettes are small enough to fit in your pocket to clean lenses anytime, anywhere. 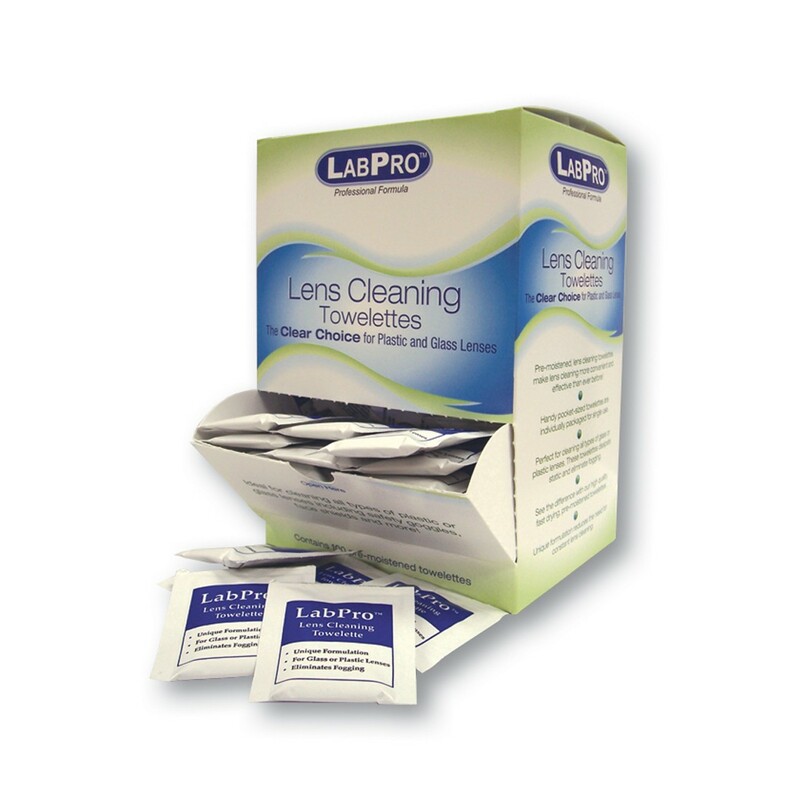 Lab Pro™ Professional Lens Cleaning Towelettes are safe, effective and ready when you need them. Each box contains 100 pre-moistened lens cleaning towelettes packaged in a 2” x 2 ¼” foil packet.